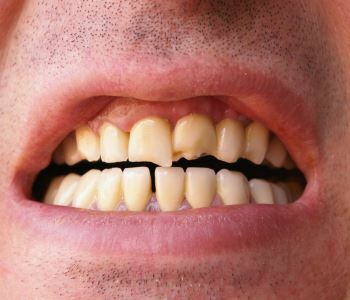 Dental enamel is linked to chipped teeth. In fact, in many respects you can’t have smooth, chip-free teeth without healthy enamel. A chipped tooth; however, may be a new feature of your smile following an accident; such as a fall or a hockey puck to the face. Whatever the source of your newly-chipped tooth or teeth, John L. Aurelia, DDS, PLLC will restore the appearance of your smile. Even more importantly, Dr. Aurelia and his team will bring your mouth back to health as chips can be signs of tooth decay. Worn tooth structure can promote further decay. What’s at the root of your chipping? Fixing chipped teeth starts with a call to John L. Aurelia, DDS, PLLC at 248-651-6810. During an appointment at the convenient Rochester Hills location, your mouth will be thoroughly examined. Dr. Aurelia will also discuss habits that make your enamel especially vulnerable. While this protective covering is stronger than bone, it can fall victim to excessive wear, tear, and corrosive acids. For instance, your teeth are not designed to withstand the extreme forces caused by night-time tooth grinding. Habits; such as opening packages with your teeth or chewing hard candies, can damage enamel. The sugars in many hard candies also combine with bacteria naturally present in the mouth to create acids that work their way from the outermost portion of the tooth to the middle or pulp chamber. As this condition progresses you may go from requiring more cosmetic-oriented treatments to cover up chips to procedures for restoring the function of your teeth; such as porcelain crowns. What are some options for fixing chipped teeth in Rochester? After determining the root of your concerns, Dr. Aurelia will pinpoint an effective treatment plan. Even if the treatment required is more restorative in nature, you can rest easier knowing the filling or crown will be as beautiful as it is strong and durable. If your chips are smaller, dental bonding may be recommended. In this process a tooth-colored material is molded and hardened securely to existing tooth structure. 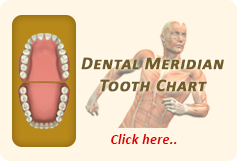 Dental veneers are thin strips of porcelain cemented to the fronts of your teeth. A small amount of tooth structure may be removed to make room for the veneers which are about the thickness of a soft contact lens. Existing tooth structure is also reshaped to make way for dental crowns should you have more significant damage and larger chips. The crown is made from a tooth-colored material in a lab and modeled after your natural tooth for the most life-like look, feel, and function. Should your tooth be damaged during a game or an unexpected fall, moments really do matter to assure you haven’t sustained more damage than initially thought and, potentially, to save the tooth. Don’t delay in calling John L. Aurelia, DDS, PLLC day or night and even on weekends when the unexpected arises.